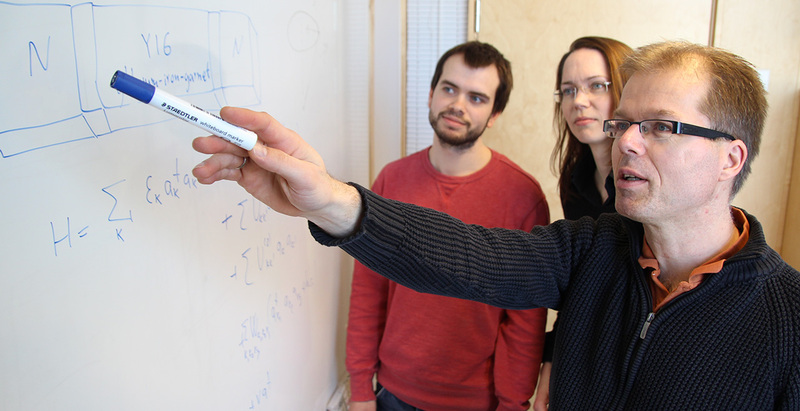 Professor Arne Brataas at the Department of Physics was recently awarded the prestigious ERC grant from the European Research Council. Only three researchers from NTNU have previously received the grant including NT Professor Bernt-Eirik Sæther at the Department of Biology. The other two are Nobel Prize winners Edvard and May-Britt Moser. The scholarship is individual and will contribute 19 million NOK over five years to Brataas’ research. Arne Brataas belongs to the theoretical physics research group and is an internationally recognized researcher in areas such as spintronics. Spintronics is a field within electronics where researchers study the electron spin and its associated magnetic moment and fundamental charge. The energy consumption is minimal and manipulating electron spin opens up new areas of use and functionality. Today, the technology is used in devices such as electronic storage media. Brataas is studying this phenomenon in different materials and situations to develop the international research further. 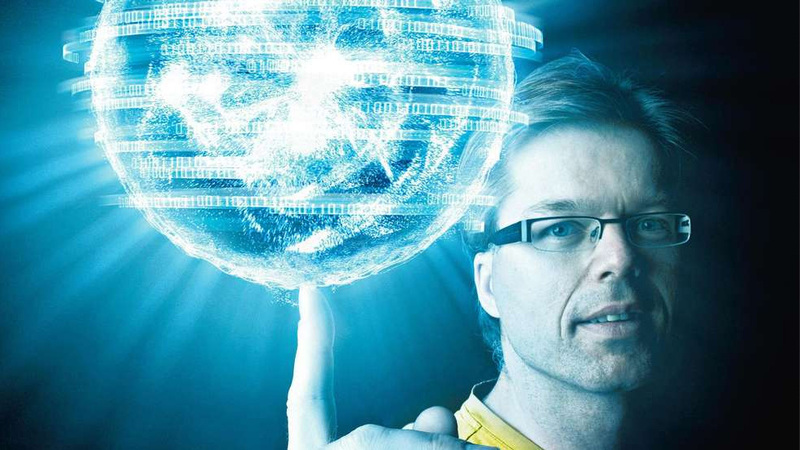 – It is a very nice recognition from the European Research Council. The grant makes it possible to take even more risks in this relatively unexplored theme where there is such a great potential, Brataas says to Adresseavisen. Have you thought about how much energy that disappears with the hot water you shower in? Or, to turn it around, how much could be saved if we manage to collect this energy before the water goes down the drain? In industry, there are also many processes where significant amounts of energy is lost as heat. Take for example the metals industry, where raw materials are processed in furnaces heated up to 1000’s of degrees before they are cooled down. There will be major environmental and economic benefits from utilizing this energy. Thermoelectric materials may be the key. Thermoelectric materials have the wonderful property that they can convert heat directly into electric power, and will therefore be highly relevant in this kind of processes. They make it possible to produce electrical energy by utilizing heat that would otherwise be lost. At the Department of Materials Science and Engineering at NTNU, researchers are trying to develop thermoelectric materials based on oxides. Oxides are stable in air up to very high temperatures and are therefore suitable for industrial processes where temperatures can be very high. The picture shows PhD candidate Sathya P. Singh instructing 5th grade students at the department. 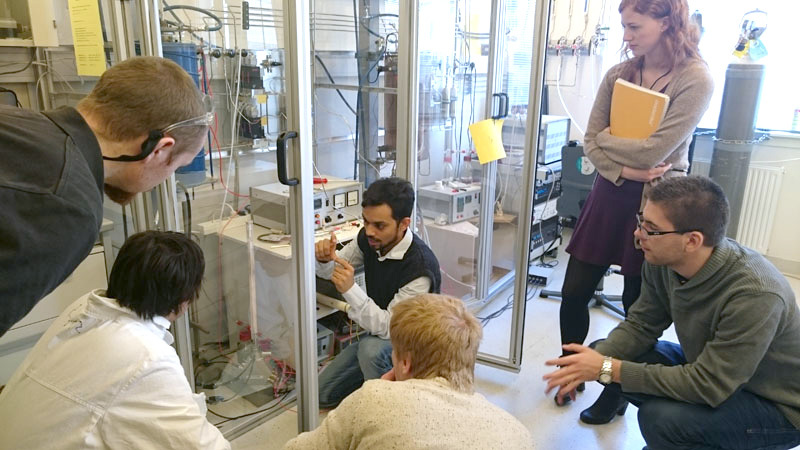 Students are learning how to measure some important thermoelectric properties of an oxide that shows promising properties in terms of potential “harvesting” of waste heat. Someday, this type of oxide might be the basis for energy savings both in industry and in private homes.